Skip Straight to the CARROT RECIPES or Switch to the A-Z of Vegetables. The Season. The carrot season is "summer to early fall" but carrots are a staple vegetables easily and inexpensively found year-round. The Carrot Family. 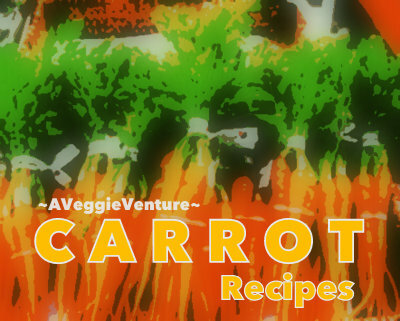 The carrot family includes parsnips, parsley root and a South American root called arracha. Special Diets. Carrots are gluten-free, paleo approved, South Beach diet approved (Phase 2), Weight Watchers friendly and Whole30 approved. Naturally, specific preparations matter to each of these eating regimens. Are Carrots Starchy Vegetables? They're not! Like turnips and beets, carrots contain little to no starch. Baby Carrots? NOT!!! AVOID!!! For convenience, bags of "baby" carrots require no peeling and no cutting. For taste, so long as they're eaten raw, baby carrots are not great but fine. Trouble is, so-called "baby" carrots aren't young, tender carrots at all. Instead, they are machine-processed into identical carrot bullets drilled from huge industrial-size carrots, a practice that goes back only to 1989 and is credited with a nearly 2x increase in carrot consumption. Great marketing but once cooked, flat lifeless taste! So for cooking, choose whole carrots and invest a couple of minutes to wash and trim them yourself. If you've only eaten these baby carrots, experience a taste revelation by cooking whole carrots! Are Carrots Always Orange? In fact, no! Dating back to what are now Afghanistan and Iran, the earliest carrots were purple! (No surprise, then, that the traditional Afghan Chicken & Rice Casserole (Kabeli Palau) is topped with buttery grated carrot.) Orange carrots were first cultivated in the Netherlands about 400 years ago. In the last year or so, Trader Joe's has been selling bags of multi-color carrots, some orange, some yellow, some white and some a dramatic purple on the inside and orange in the center. They're beautiful! To my taste, however, they're not so good, even roasted which should draw out sweetness. All good looks, not good taste, slightly better raw than cooked. Are There Carrot Flowers? There are! Wild carrots grow with abundance in meadows at our country place but their flowers were already familiar to me. You see, my grandmother's garden was filled with the old-fashioned flower called Queen Anne's Lace. The tiny white blossoms array in flat lacey heads with a "prick" of purple flower in the center. Story goes, that center is a pinprick of blood from Queen Anne, who pricked her finger while sewing lace. Are Carrot Tops Edible? The leaves of carrots are indeed safe to eat. But once you bring home carrots with their "tops" on, cut them off so they don't leach moisture from the carrots themselves. But even if you're not going to cook the carrot tops, watch for these just-from-the-ground carrots at a farmers market, even Whole Foods. They're more expensive but taste completely different from the bags of commercial carrots at the supermarket, so so good! Should Carrots Be Peeled? The skins of just-pulled carrots from gardens, farmstands and CSAs are often so tender, there's no need to peel the carrots. During certain times of the year, even grocery store carrots in cellophane bags are quite fresh and tender, other times, the skins are pretty gnarly and bitter in taste. To peel or not to peel? I let appearance be the guide. Growing Carrots at Home. Carrots were a staple in World War II victory gardens. Last year, we planted carrots seeds and were rewarded by wonderful-tasting but stunted and deformed carrots. Turns out, our raised beds aren't deep enough: when the carrot tap roots ran out of soft dirt, they quit growing. Carrots in World War II. Eat your carrots, my mom admonished. "Carrots help us see in the dark!" Thanks to an abundance of Vitamin A, carrots are indeed good for eye health. But in World War II, a British dis-information campaign claimed that carrots were the reason an ace pilot was able to shoot down twenty enemy planes, nineteen at night. (The real reason? A new technology we now know as "radar".) Street posters promised that carrots would give Britons better eyesight during night-time blackouts. During the war years, sugar was rationed so innovative cooks used the sweetness of carrots in the likes of carrot pudding, carrot cake, carrot marmalade and carrot flan, encouraged by a cartoon carrot, Doctor Carrot. Carrot Capital of the World. The small town of Holtville in southern California is the self-proclaimed Carrot Capital of the World and hosts an annual carrot festival. Carrots for Word Dancers. The "carrot and stick" approach was first applied to mules! French Mirepoix. The "trinity" of vegetables in France is called mirepoix [pronounced MEER-PWAH], a mix of diced onion, celery and carrot, traditionally in a 2:1:1 ratio measured by weight. Start Carrots in Cold Water! For firmer cooked carrots (and potatoes, sweet potatoes, beets and beans), immerse the carrots in cold water before turning on the heat. Why? This lets the outer areas and inner areas cook more evenly. Natural Pairings. Carrots have a natural affinity with these flavors: ginger, lemon, lime and orange; butter and cream; parsley, cinnamon, cumin (my favorite! ), dill, tarragon, thyme and mint; maple syrup, honey and other sugars. Sources. Personal experience and accumulated learning, also the most-wonderful On Food and Cooking: The Science and Lore of the Kitchen by Harold McGee, Vegetable Love by Barbara Kafka, The Flavor Bible by Karen Page and Andrew Dornenburg, the Carrot Museum and most recently, The Carrot Purple (And Other Curious Stories of the Food We Eat by Joel S. Denker. HEY, CARROT LOVERS! WHAT SOUNDS GOOD? Top Tip: If until now, you've only eaten the so-called "baby carrots" be sure to use whole carrots for these recipes, they make a world of difference! While I'm no fan of so-called baby carrots, they do work well in certain recipes.